The Kowa TSN-DA20 is designed to work with Kowa's current TE-Z9B 20-60x zoom eyepiece, TE-14WD 30x wide zoom eyepiece, the Kowa-TSN 550 series spotting scopes and also High Lander eyepieces with 32x / 21x / 50x magnification. Set-up is easy. Simply unscrew the eyepiece eye-relief cap on the eyepiece and screw on the DA20 inner collar in its place. As standard the DA20 includes a 43mm filter thread adapter – which can be screwed directly on to a camera lens with a 43mm filter thread. 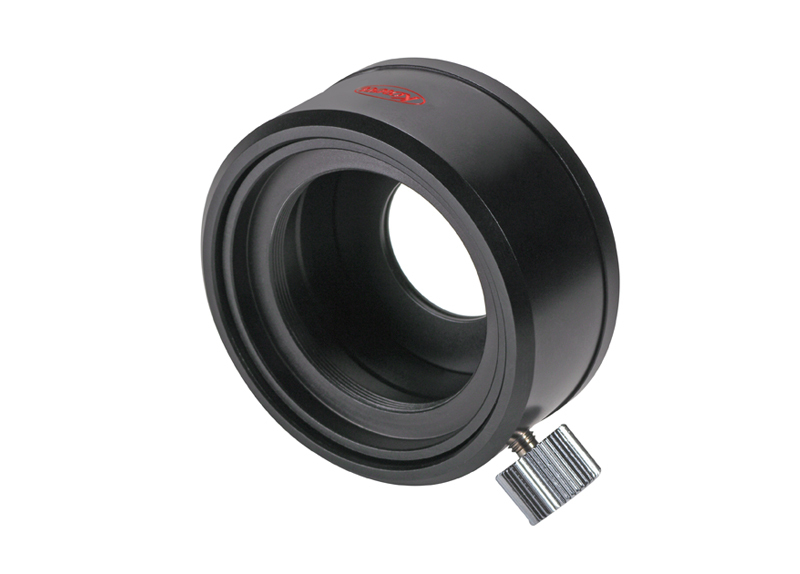 If your lens has a different size filter, simply add one of our adapter rings (sold separately) AR28/30/30.5/37/43/46/52/55/58/62/72mm between your lens and the DA20. Finally push the connected DA20 and camera body combination over the collar and secure. Alternatively you can connect the TSN-DA20 directly to your camera body without a lens – simply purchase the Kowa TSN-AR42 GT adapter ring with standard 42mm T2 mount fitting and add a T2 ring to match your camera system between camera body and adapter. You can easily switch from landscape to portrait position and quickly slide off for normal observation. All camera functions remain including camera lens auto-focus and focus peaking. 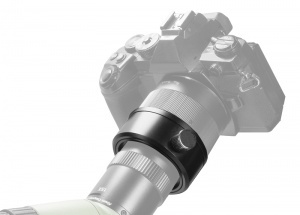 The full zoom range of the eyepiece is available creating incredible telephoto possibilities for such a compact system. Performance and ease of use of this system is exceptional. Using a wide aperture fast lens delivers blisteringly fast shutter speeds with low ISO settings, combined with a Kowa spotting scope – image quality is excellent. CAUTION: The Kowa TSN-DA20 System works with all camera sensor body sizes but larger systems may exert too much stress on your lens filter thread. Kowa accepts no responsibility or liability for any damage you may cause to your equipment when using their adapters. 1. TSN-DA20 inner collar replaces eye-relief cup (sold separately). 2. TSN-DA20 outer collar secures on to TSN-DA20 inner collar. 3. Kowa TSN-AR42 GT adapter ring. 4. Standard T2 ring (dependent on camera system, sold separately). 5. Camera body (not included). 1. TSN-DA20 inner collar replaces eye-relief cup. 3. Kowa TSN-AR adapter ring (43mm included) If your lens filter size is different than 43mm, then additional Kowa TSN-AR filter ring (sold searately) is required to match your lens filter size.